Chris Muse of South Portland believes an undiagnosed medical condition has contributed to his problems. SOUTH PORTLAND — Chris Muse climbed through a window off the back deck to get into the house on Mildred Street he’s owned for 30 years. “You have to be a little creative,” said Muse, who has been living in the three-unit building despite the padlocks placed on the doors in May. The locks appeared after a broken sewer pipe caused sewage to back up in the basement and the city’s code enforcement officer deemed the house unfit for human habitation. Twelve years ago, Muse was a three-term state lawmaker who represented this part of the city in the Maine House of Representatives. 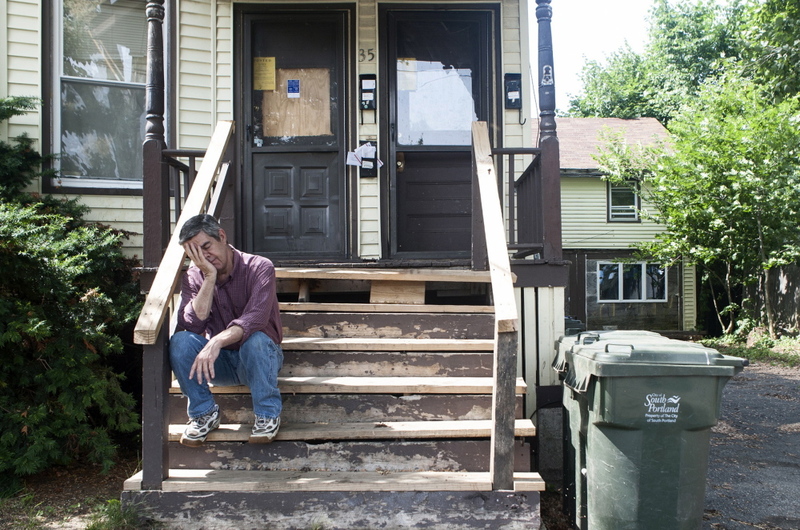 Today his neighbors, exasperated with the deterioration of the property, are trying to evict him, and the city he once served has filed a lawsuit to get him out of the house. Muse, 58, believes an undiagnosed medical condition has contributed to his problems: He has no job, no place else to go and almost no support network, except for family members who live out of state. On Tuesday he’s scheduled to appear in the Cumberland County Courthouse on charges of violating the city’s housing and nuisance ordinances for failing to fix the sewer pipe. He has no way to pay for the repairs estimated at $10,000. His primary income in recent years has come from his tenants, who moved out when the sewerage problems arose. Soon, he could incur fines for continuing to stay there. The city is asking the court to order Muse to vacate the house or pay $100 to $2,500 a day for each violation. He doesn’t plan on moving out until a judge tells him he has to. Muse doesn’t have a lawyer. “We just want to help him get back on his feet,” said daughter Regan Flannery, who came to her father’s defense when the problems with his house became public. She says his character and the condition of his home have been unfairly criticized. “He’s truly a good person in a bad circumstance,” Flannery said. Muse, who grew up in Portland and graduated from Cheverus High School, had a 23-year career at the jail, where he worked first as a guard and later as a training officer. It also was where he met his wife, a records clerk, then a guard herself. Saying the jail hired too many administrators and didn’t provide enough training for corrections officers, he ran for sheriff in 1994 against incumbent Wesley Ridlon in a bitter Democratic primary that divided jail employees – and taught Muse a valuable lesson. “Never run against your boss unless you’re going to win,” he said with a smile last month, as he sat on the crooked stairs in front of his house in old sneakers, his plaid buttoned-down shirt tucked into jeans and his salt-and-pepper hair parted. He doesn’t regret running, he said. It gave him the taste for politics that inspired his candidacy for the Legislature two years later. Muse went on to serve three terms in the House of Representatives, where he advocated for gun control and animal rights. He was best known for a bill to ban elephant circus acts, a proposal inspired by his daughter, who was 7 years old at the time and had refused to attend the Ringling Bros. show when it came into town because of how the animals were treated. The bill died in the Senate. Muse also drew attention when he urged his older brother, Kevin Muse, a Republican from Fryeburg, to run for a seat in the House, even though they sat on opposite sides of the aisle. 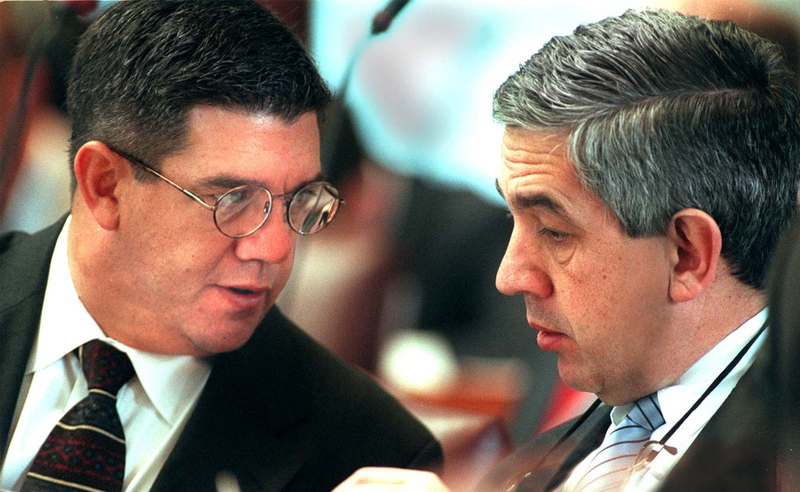 When both were elected, they sat beside each other in the State House. “I think we spent more time at lunch up there than we did in session,” Chris Muse said. Julie O’Brien, a Republican from Augusta, sat next to the brothers – jokesters who used to keep a tablecloth with a cheese plate hidden between their seats, she said. She served with Chris Muse on the Criminal Justice and Public Safety Committee, where they shared a passion for funding probation and parole, working together despite their party affiliations. As Muse was running for reelection to a fourth term in 2002, he drew fire for living in a second home he bought by Willard Beach, outside of his district. He said he planned to move back to the Mildred Street house, but he bowed out of the race before Election Day. His brother continued to serve and, two years later, was getting ready to run for a third term when he died of heart failure in his sleep. A year later, Chris Muse and his wife divorced. O’Brien and Muse continued to speak or see each other a couple of times a year, most recently several months ago. “Every time, I saw it get worse and worse and worse,” she said. Depression had set in, said his family and friends. Eventually, he “had it” at the jail, he said, and hasn’t had steady employment for around eight years. “I have kind of floundered since then,” he said. Not having a driver’s license has made it even harder. Muse, who has 21 driving convictions from seat belt violations to driving under suspension, eventually had his license revoked. It didn’t help that he made the news last year when a woman he dated accused him of knocking her to the ground and kicking her in the face, dislodging one of her teeth and damaging a denture. He told police she was drunk and fell, and the case was dismissed for a lack of evidence. 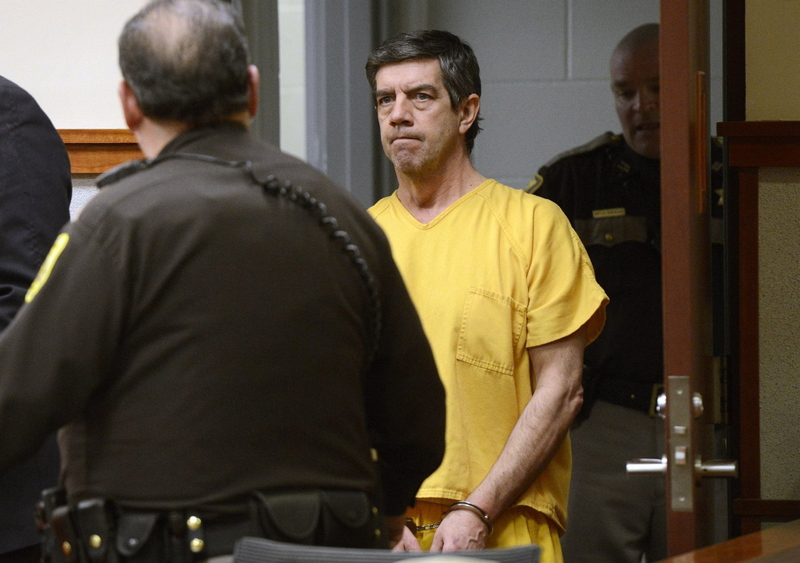 Over time, many of his family members and friends have stopped talking to him, he said, other than Flannery, who moved last year to Washington state, and his ex-wife, Coleen Kurtz, who lives in Michigan with her husband. Kurtz, a nurse, noticed a while ago that Muse’s speech had become somewhat slurred and wonders if he had a stroke. Muse said doctors, who he’s seen for memory issues, have suggested he could have early onset Alzheimer’s disease or a neurological sleep disorder, but he’s never received a diagnosis – something he thinks could help him get assistance and avoid a homeless shelter. He’s also been trying to schedule a sleep study. Kurtz calls to remind him about appointments. Muse spends most of his days cleaning out trash left over from his last tenants, so he can try to sell the house before it’s taken away. Sometimes, he walks down to Easy Day bowling alley, has a Coke and watches a game. Muse’s problems with his house became public in early May when city officials found out about the broken sewer pipe. The city gave him four days to come up with a plan to fix it and, when he didn’t, posted notices on the doors prohibiting anyone from living there. Later that month, neighbors reported that Muse hadn’t left the house and that he was pumping sewage out of his cellar windows into his driveway and yard. They filed a complaint with the city and a hearing was held in June. He and other neighbors went on to talk about how the property has deteriorated over several years with unruly tenants and unleashed dogs, frequent police calls and an overgrown yard strewn with refrigerators, mattresses and other discarded furniture. The neighborhood, they said, was once a tight-knit, safe community where children played in their front lawns. No more. “We just want our street back,” Carole Frenette said. The City Council declared the house a public nuisance and gave Muse 15 days to fix the problem before turning the case over to a judge. “Do you understand the charge?” Judge Jeffrey Moskowitz asked Muse, who rested his arms on the podium and confidently said that he did. “That makes one of us,” the judge said. Despite his problems, his manner is mostly lighthearted – discouraged, at times, but not altogether down. In court, he verged on boisterous as he declared himself “absolutely not guilty” of the charges. The judge said a simple denial of the violations would have sufficed and set his next court date for Sept. 16. But Muse is returning sooner then planned. Later in July, the city filed a complaint against him in Portland District Court for failing to comply with the housing ordinance and for creating and maintaining a nuisance home. “It’s to move the process forward,” said City Manager Jim Gailey, who expects Tuesday’s court appearance to be nothing more than a chance for Muse to answer the charges, with a hearing scheduled for later. Muse hopes he can buy enough time to sell the house or get a job. He’d like to get hired by a cruise line and make enough money to pay for housing or a hotel room when he returns. Whatever the job is doesn’t matter to him. “It would get me out of here,” he said.